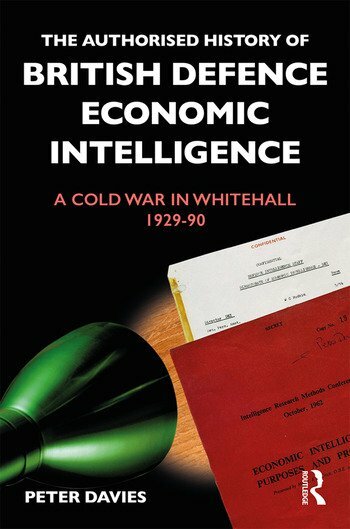 This book is the first history of UK economic intelligence and offers a new perspective on the evolution of Britain's national intelligence machinery and how it worked during the Cold War. British economic intelligence has a longer pedigree than the Joint Intelligence Committee (JIC) and was the vanguard of intelligence coordination in Whitehall, yet it remains a missing field in intelligence studies. This book is the first history of this core government capability and shows how central it was to the post-war evolution of Whitehall's national intelligence machinery. It places special emphasis on the Joint Intelligence Bureau and Defence Intelligence Staff - two vital organisations in the Ministry of Defence underpinning the whole Whitehall intelligence edifice, but almost totally ignored by historians. Intelligence in Whitehall was not conducted in a parallel universe. This contrasts with the conventional wisdom which accepts the uniqueness of intelligence as a government activity and is symbolised by the historical profile of the JIC. The study draws on the official archives to show that the mantra of the existence of a semi-autonomous UK intelligence community cannot be sustained against the historical evidence of government departments using the machinery of government to advance their traditional priorities. Rivalries within and between agencies and departments, and their determination to resist any central encroachment on their authority, emasculated a truly professional multi-skilled capability in Whitehall at the very moment when it was needed to address emerging global economic issues. This book will be of much interest to students of British government and politics, intelligence studies, defence studies, security studies and international relations in general. Formerly an intelligence analyst at the Defence Intelligence Staff, Secret Intelligence Service, and Cabinet Office, Peter Davies has a PhD in History from Queen Mary, University of London and is currently affiliated to Drew University, NJ, USA.